Read more about TTW17 on the librarian's blog here. Since Teen Tech Week falls in March just after the Academy Awards, Oscar nominated shorts are usually shown the first day of TTW. 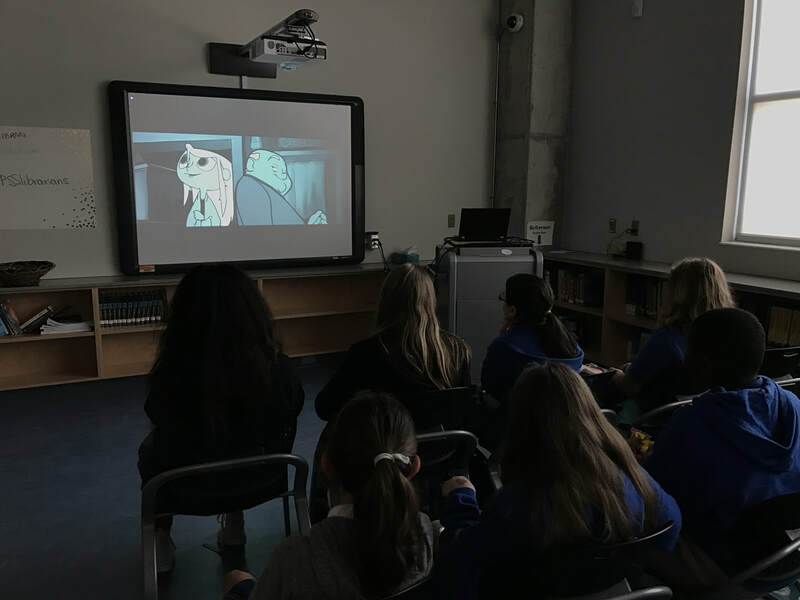 This time around the students got to see Piper which is a Disney Pixar short and was nominated for a 2017 Academy Award. Other Pixar shorts were shown too to make a half hour of movie time fun. Treats were served along with the shorts. This new fun sticker art company called Stick Together produces large posters with a grid for adding teeny tiny stickers to make the poster pop with color. The poster was a hit with all ages. 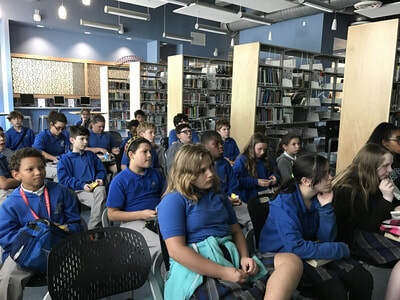 The sixth and seventh graders who started the project had no clue what the final image was going to be, but the older students picked up on the Van Gogh Starry Starry Night image very early on in the process. Though the concept could not be simpler, it was an activity that many students loved. A new poster will be added to the library makerspace for the 2017-18 school year. Using the Marshmallow Challenge explained here as a model, students during each of the three lunches formed teams of four members to compete. During this challenge, each team has 18 minutes to build a free standing structure using 20 strands of dry spaghetti, one marshmallow, a yard of masking tape, and a yard of string. Since the students were beginning and ending the challenge at different times, each team had an iPad as a timer and a sheet of paper to record the height of their structure. 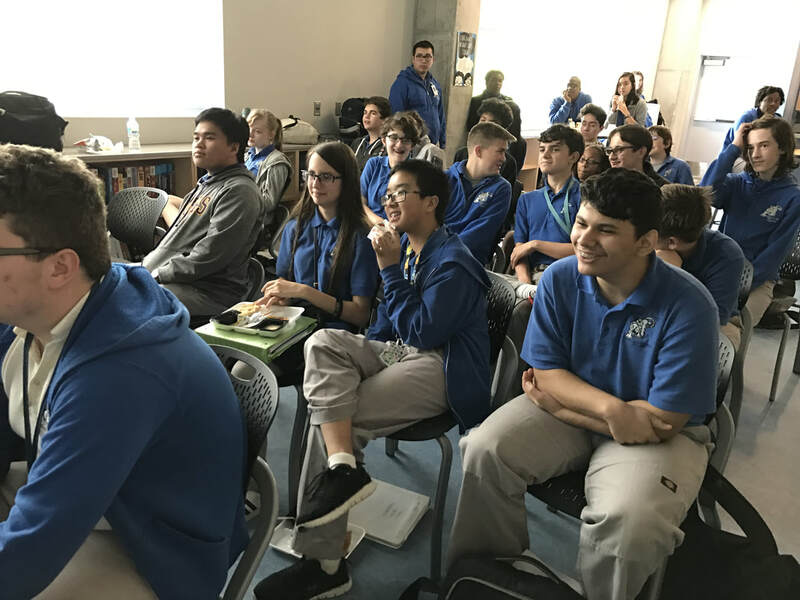 After measuring the height of each structure, a winning group was declared for 6th/7th grade, 8th grade, and high school which are the divisions of the lunch periods. This activity was so engrossing that students returned during the week to see if they could build a taller structure than they had built previously.